Later next month, July 12th and 13th actually, Sub-Pop Records is throwing themselves a 20th Anniversary Party. Lots of great acts will be in the Great Pacific Northwest hootin’-and-a-hollerin’ at Seattle’s Marymoor Park. Fleet Foxes, Beachwood Sparks, Low, Mudhoney, Wolf Parade, eargoggles-fave The Helio Sequence, Iron & Wine, will be there with many more included…except Sub-Pop darling The Shins. 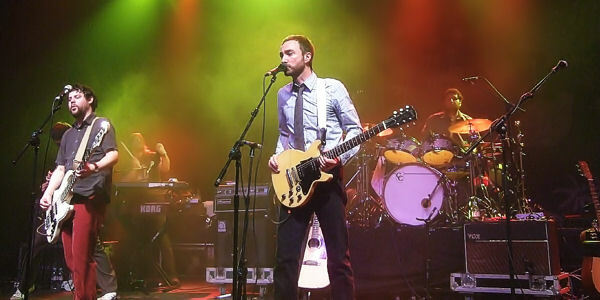 The band’s most recent album, 2007’s “Wincing the Night Away,” debuted at a career-best No. 2 on The Billboard 200 and has sold more than 538,000 copies. That would explain the absence at the festival. Still wanna go? Try here for more info. Amy here at Original Signal. I was checking out your blog, and was hoping to send some info on an artist of ours, David Ford, who is returning to LA on July 10. The (dot)com version of The Shins’ website has been taken off line in on ongoing dispute over good old fashioned green backs.